result, Always Already Newspeaks to present concerns about the humanities as much as to the emergent field of new media studies. Records and documents are kernels of humanistic thought, after all--part of and party to the cultural impulse to preserve and interpret. Gitelman's argument suggests inventive contexts for "humanities computing" while also offering a new perspective on such traditional humanities disciplines as literary history. 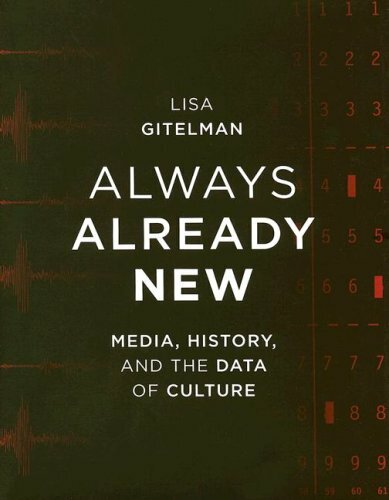 Making extensive use of archival sources, Gitelman describes the ways in which recorded sound and digitally networked text each emerged as local anomalies that were yet deeply embedded within the reigning logic of public life and public memory. In the end Gitelman turns to the World Wide Web and asks how the history of the Web is already being told, how the Web might also resist history, and how using the Web might be producing the conditions of its own historicity. Lisa Gitelman is Professor of English and Media, Culture, and Communication at New York University. She is the coeditor of New Media, 1710--1915 (2003) and author of Always Already New: Media, History, and the Data of Culture (2006), both published by the MIT Press.